One of the key pre-launch requirements for SpaceX’s upcoming Dragon mission to the ISS – the completion of software validation tasks for the spacecraft’s approach and berthing with the orbital outpost – has been passed, pending the expected completion of “action items”. The milestone means the latest launch date target of May 19 now holds a large amount of confidence. As it currently stands, the SpaceX duo of the Falcon 9 launch vehicle and the Dragon spacecraft hosted atop of the vehicle, are on track for a 4:55am EDT launch – an instantaneous window meaning any late hold in the countdown would scrub the launch to a second opportunity three days later. The launch was set to take place earlier in the year. However, the requirement to complete the software validation – or assurance – process to the satisfaction of all parties concerned led to the mission slipping several times. May 19 was the latest date to be selected, partly due to the need to avoid a conflict with the upcoming Soyuz mission to the ISS. However, this also gave engineers additional time to work the software – or “docking code” as SpaceX CEO and Chief Designer Elon Musk put it – a key component for Dragon’s successful approach and berthing with the Station. It should not be under estimated just how complex the orbital ballet between two spacecraft can be, not least due to the contingency requirement of aborting prior to the spacecraft docking – or in this case being grappled by the SSRMS (Space Station Remote Manipulator System) and berthed – in the event of a problem. The safety of the ISS is paramount in such evaluations. Per sources, the validation process was completed late this week, with only a few action items to be resolved by the engineering teams. In explaining “Action Items”, sources note that these are typically items of interest that do not drive a full reconvene of any meeting they came out of, as such, they are not expected to be the cause of any additional work that could threaten the launch date. These items are either closed on self-evidence, or by review of the meeting chair or a delegate. The likelihood of an expected nominal outcome for an action item is relatively high. However, in the unlikely event they are not found to be within expectations, an action item typically drives a requirement to reconvene the meeting that assigned it in the first instance. Ironically, even if all goes well with Falcon 9’s launch of Dragon on the C2+ mission, there are still no guarantees the spacecraft will be allowed to berth with the ISS. This is because Dragon has a long list of requirements during the opening days of the flight, requirements held under the C2 mission objectives. Dragon was initially set to just fly on a C2 objective based mission, prior to the C2 and C3 elements being combined, providing the C2+ mission designation. All eyes will be on Dragon’s performance the moment it enters orbit, specifically on items such as its debut use of its solar arrays that will provide power to the spacecraft during its orbits of the planet ahead of berthing. These critical objects begin as early as Flight Day 2 and 3, a period when Dragon is in what is known as far field phasing. During this period, Dragon will perform Free Drift, and Abort Demos, while conducting checks on its Absolute GPS (AGPS) system. Per L2 information (L2 Link), Free Drift is performed in this early mission timeframe for spacecraft efficiency, but is not required until Dragon reaches the capture point. However, the AGPS and Abort tests are required prior to the Go/No-Go for the HA2/CE2 burn pair, a burn pair that will take Dragon to 2.5 km below ISS – a distance chosen as acceptable in relation to posing no risk to the Station in the event of a problem. The mission becomes more complex as it closes in on the ISS, with tests such as the ability to successfully communicate between Dragon and the Station during its first pass underneath the complex, as the spacecraft rides on an invisible racetrack around the ISS. During the fly-under, UHF communication via the COTS UHF Communication Unit (CUCU) system is established with ISS, allowing for commanding from ISS via a strobe command for the RGPS demonstrations outlined in the flight rules. Once the 2.5 km fly-under is completed, a pre-planned re-rendezvous profile will be initiated, this kicks off another series of Go/No-Gos for the forward and rear re-rendezvous burns, ending with Dragon on a co-elliptic flight path 10 km below ISS. The HA2/CE2 burn pair is conducted again. 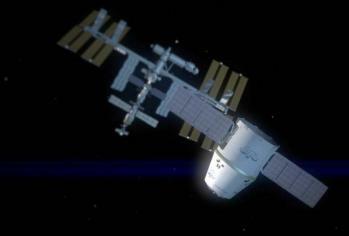 bringing Dragon 2.5 km below ISS. 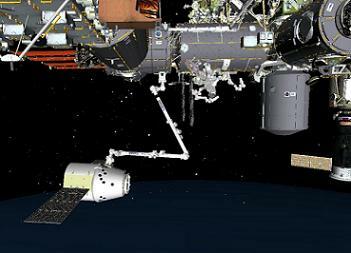 A Go/No-Go is performed for the HA3/CE2 burn pair bringing Dragon to 1.2 km below ISS. 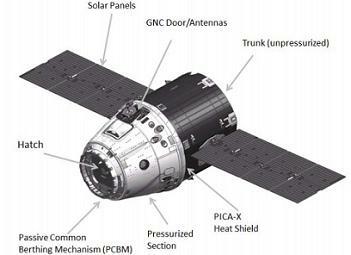 The HA3/CE3 burn pair, using RGPS and configured with the ISS’ own GPS system, is then conducted, followed by the HA4 (Ai) burn, taking Dragon inside the corridor where the crew begins to monitor the spacecraft’s approach. Holding at 250 meters from the Station, checks of Dragon’s LIDAR (Light Detection And Ranging – relative navigation sensor) system will be conducted, a key element of hardware that has a heritage of testing via the Space Shuttle Discovery during her STS-133 mission. The addition of the DragonEye sensor on Discovery was the third time an orbiter had provided assistance to SpaceX, following Endeavour’s role with the DragonEye Detailed Test Objective (DTO) box – with flash LIDAR and data acquisition unit – during STS-127, and reflown on STS-133. The delivery of the CUCU to the ISS by Atlantis on STS-129. The DragonEye DTO was mounted to the Trajectory Control System-1 (TCS-1) carrier assembly on the ODS (Orbiter Docking System) starboard location, while the CUCU has already been installed and checked-out by ISS crewmembers. Should everything continue to perform as advertised, Dragon will approach to 30 meters distance from the Station where it will automatically hold. With hold and retreat demos being conducted, yet more Go/No Go polling will be conducted by controllers at the Johnson Space Center (JSC) Flight Control Room (FCR) and at SpaceX’s Mission Control in California. Providing a Go is given, Dragon will then enter the critical phase of approaching the ISS, proceeding from 30m to the Capture Point, where Dragon automatically holds. 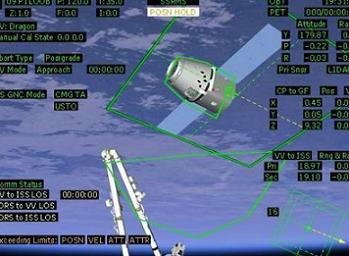 The ISS’ robotic assets – already translated to the pre-capture position – are then guided towards the Dragon from the Cupola Robotic Work Station (RWS). A final Go/No Go is performed for Capture and the crew is informed on the decision from the ground. 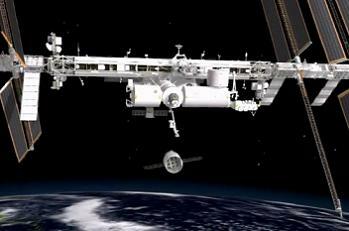 The ISS crew will then inhibit the ISS thrusters and command Dragon to free drift, before capturing Dragon with the SSRMS, ahead of a robotic ballet to carefully translate the new arrival into position for berthing. Upon berthing, a carefully planned securing process will be conducted, marked by all four Ready To Latch (RTL) indicators providing confirmation on the RWS panel. Dragon will then be put through first stage capture tasks, allowing the SSRMS to go limp, ahead of second stage capture, officially marking Dragon’s berthing with the ISS, in turn allowing the SSRMS to release and translate to its return position. 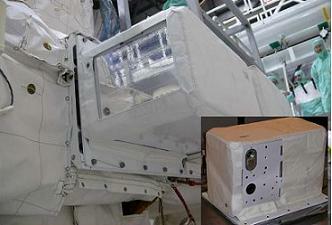 Leak checks will then be conducted between the ISS and Dragon – required ahead of hatch opening. Just this short summary of the approach to berthing shows how much effort was required to ensure the software on the Dragon is ready to guide the spacecraft towards its historic debut to join with the ISS and indeed be prepared to abort if all is not well. If successful, berthing will mark the first time a private/commercial vehicle has ever attempted – and succeeded – with the task. Images: L2’s SpaceX Dragon C2/C3 Mission Special Section, containing presentations, videos, images, interactive high level updates and more, with additional images via NASA, CSA and SpaceX).